TORONTO: A woman who helped Edward Snowden hide in Hong Kong after his leaks exposed US global surveillance programmes arrived Monday in Canada with her daughter, where they were granted asylum. On Tuesday, they travelled to Montreal, where they will settle as refugees sponsored by the non-governmental group For the Refugees. His leaks of highly classified documents revealed the existence of global surveillance programmes run by the NSA in cooperation with partners Australia, Britain and Canada. A spokesperson for Canada’s immigration ministry also declined to comment except to say that in “exceptional circumstances” requests for asylum can be accelerated. 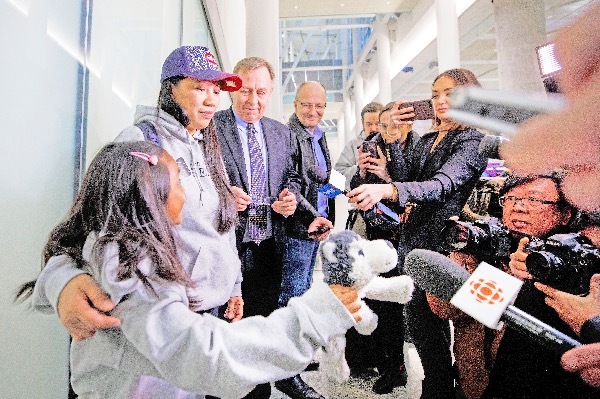 Canada grants asylum to woman who sheltered Snowden in HK 0 out of 5 based on 0 ratings. 0 user reviews.